I genuinely enjoy winter – there’s something so lovely about staying in and wrapping up warm when it’s so bitterly cold outside. There’s also how beautiful everything gets when it snows. Well, that is until Christmas time is over and done with and, after a few weeks of rather grey weather in London (with no snow to compensate for this), it’s not long before my thoughts some of the best places in France (actually, scratch that – in Europe as a whole) to visit come summer-time! Retrospectively, I realised we seem to go through (unintentional) phases with destinations – one year we went to Spain every single month. 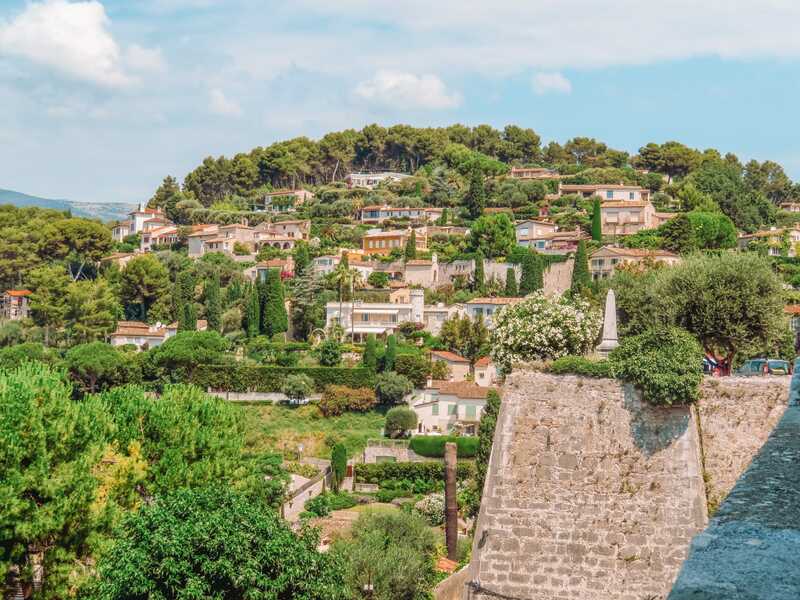 This beautiful resort town located on the French Riviera has a really lovely Old Town that’s actually been pretty well preserved with ramparts dating back to the sixteenth century! Here, you can visit the star-shaped Fort Carre, which has spectacular views of the city, as well as taking the time to explore the Musee Picasso, which showcases a pretty impressive number of the brilliant artist’s works – making it one of the best places to visit in France if you’re a fan of Picasso’s work. Grab your supplies from one of the local bakeries and indulge in a picnic lunch (you’re probably starting to sense a theme here with the picnics 😉) on one of the many gorgeous beaches, or spend a few hours hiking around the shoreline, where you can discover everything from hidden coves to pristinely maintained lighthouses. 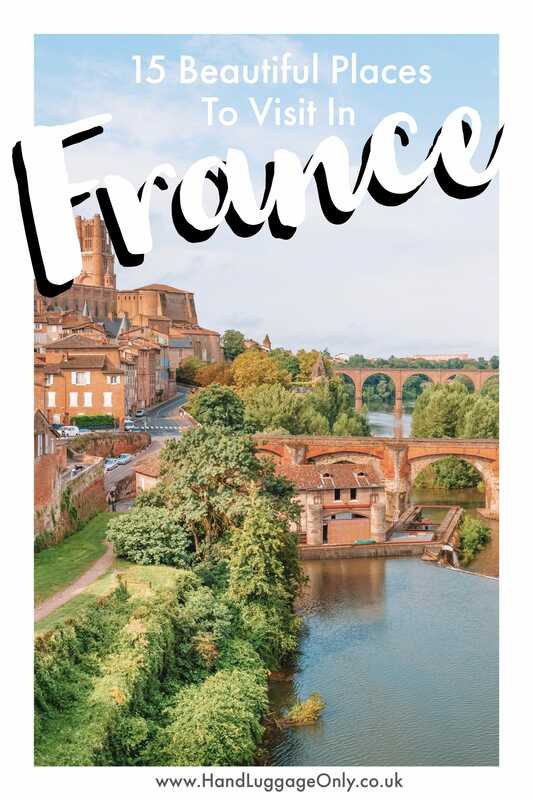 *If you’re really into hiking as a whole – this post here will come in very handy when you’re planning on visiting France. 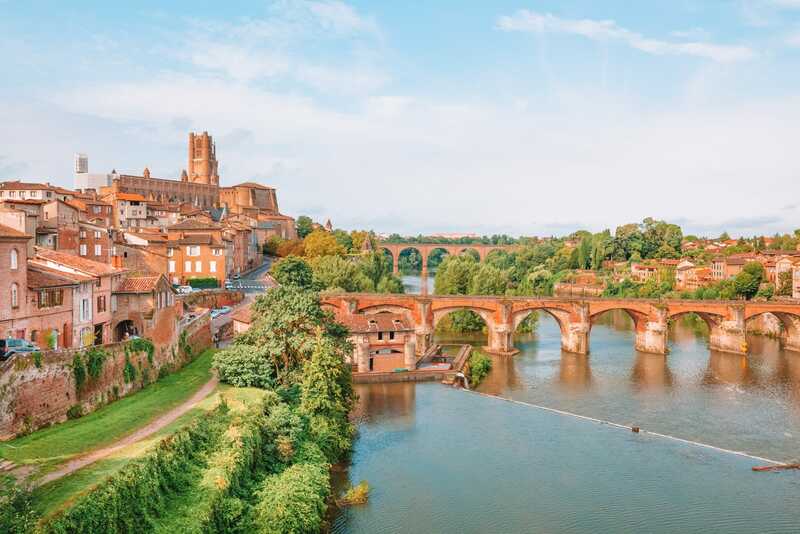 Located on the Tarn River, this place is perhaps most famous for the Sainte-Cecile Cathedral, an impressive example of Gothic architecture which is also home to some rather valuable frescos. 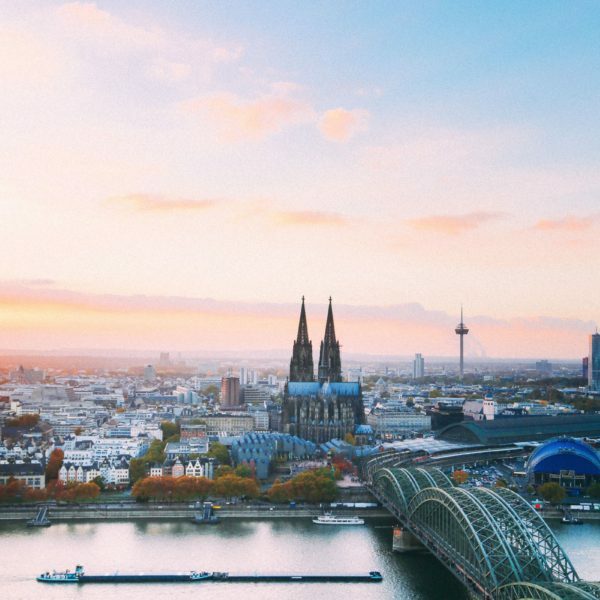 This magnificent cathedral presides over Episcopal City, an enclosed quarter dating back to the Middle Ages which has been designated as a UNESCO World Heritage Site. The vineyards here are absolutely magnificent, so be sure to make some time to simply soak up the scenery and, of course, that wine too! There are also some pretty wonderful cafes and restaurants (so you won’t be stuck for choice when you visit), but if you want a true treat, make sure to visit one of the local street markets, which offers everything from farm fresh vegetables and fruits to delicious breads, meats and cheeses to grab yourself a picnic to enjoy in the sun. This city was once the centre of Western Christianity during the Middle Ages and is an absolutely beautiful place to visit (check out all the deets from our visit here). 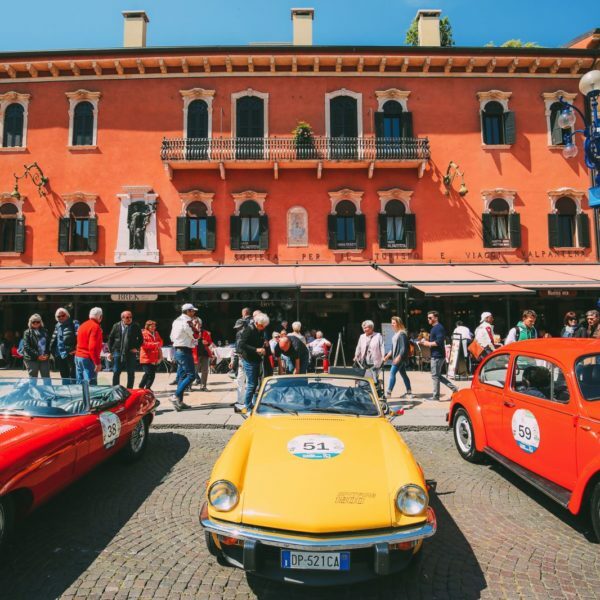 Here you can visit the Palace of the Popes, a building dating back to the 14th century that was once the location of no less than six papal conclaves. There is also a pretty wonderful street market here, as well as Pont d’Avignon, the remnants of a 12th-century bridge (*way more impressive than it sounds). 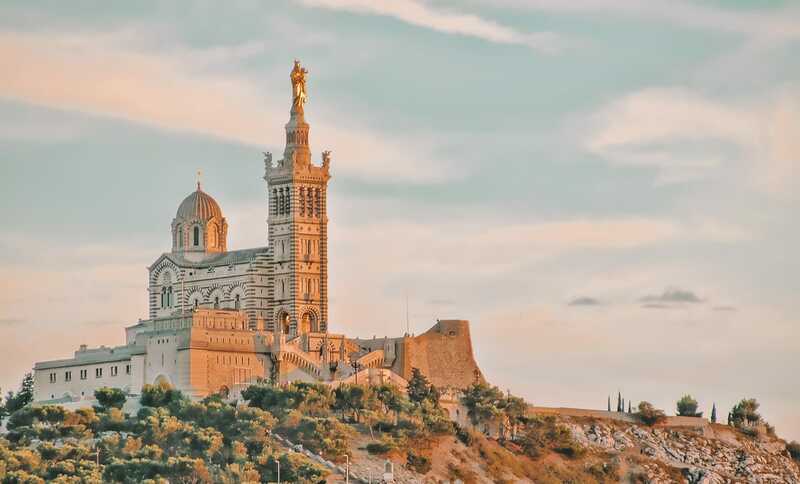 An awesome spot for if you’re more into history then nightclubs and beaches (or just want to mix things up a bit) is the beauty that is Avignon Cathedral! Alternatively, if you just wanna mooch around and relax, head over to Jardin des Domes. 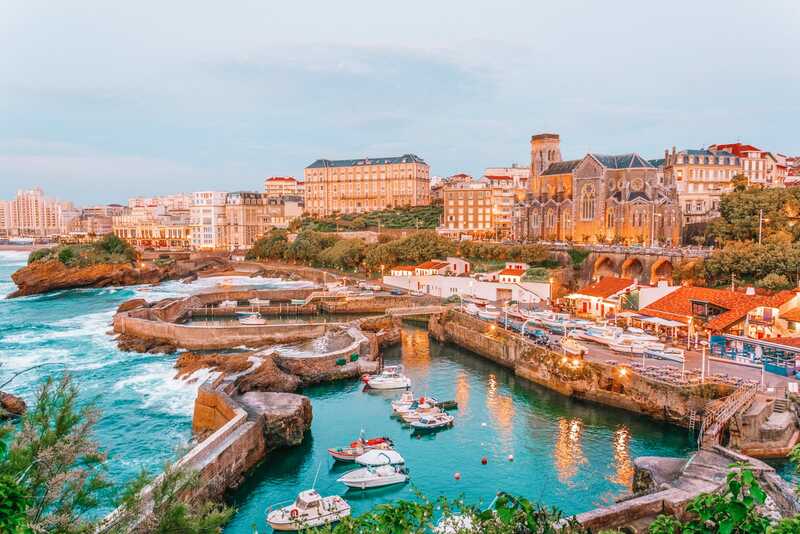 Biarritz was once a sleepy French fishing town, yet it’s somehow transformed into one of the best places in France to visit, in large part due to the popularity of the Hotel du Palais – which was once upon a time the summer home of Napoleon. Biarritz is also one of the best places in France to visit if you’ve ever been intrigued about visiting the French Basque country as it sits pretty right at the south of it! 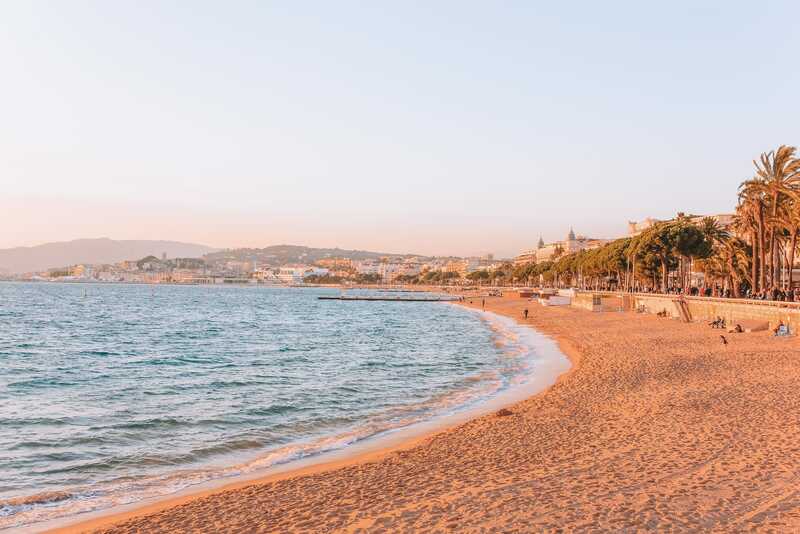 This one probably needs no introduction as Cannes is easily one of the most well-known resort towns on the French Riviera and one of the best places in France to visit. For easily over 70 now, Cannes has drawn celebrities to its gates as it plays host to the prestigious Cannes Film Festival. Literally flew to Carcassonne on something of a last minute bank holiday whim with friends, with no clue what to expect! 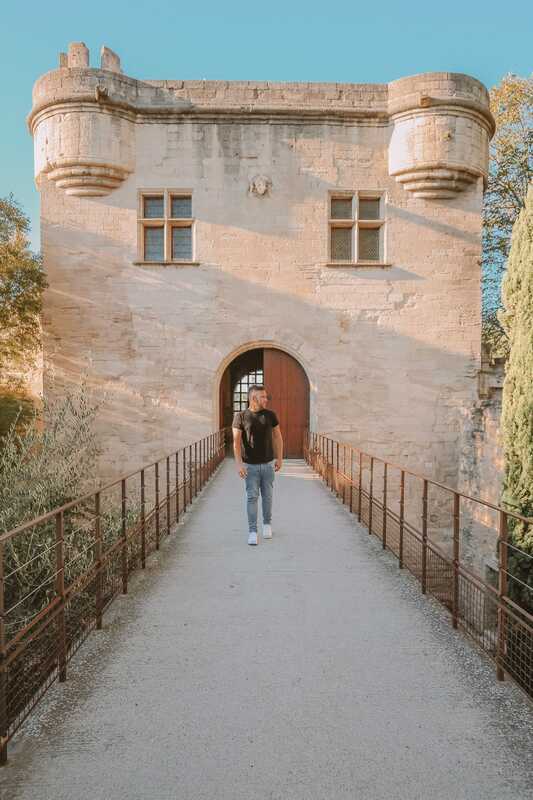 The plan was just to get a huge villa and chill (which we did) but Carcassonne is also home to a magnificent Medieval castle and is generally just a really charming place in Southern France to visit! Located on the banks of the Aude River, the walls surrounding the older parts of the city have parts that date back to the 4th century, though the entire thing was largely reinforced nine centuries later. These ancient walls were again eventually left to decay and fall into ruin until being restored to their original glory in the late 19th century. Widely regarded as one of France’s most picturesque villages (seriously, some of the best places in France to visit are its villages), Lourmarin is surrounded by stunning mountains, lush orchards and some rather inviting vineyards (I don’t know why but something about drinking wine in a vineyard just seems the stuff of French summer dreams). 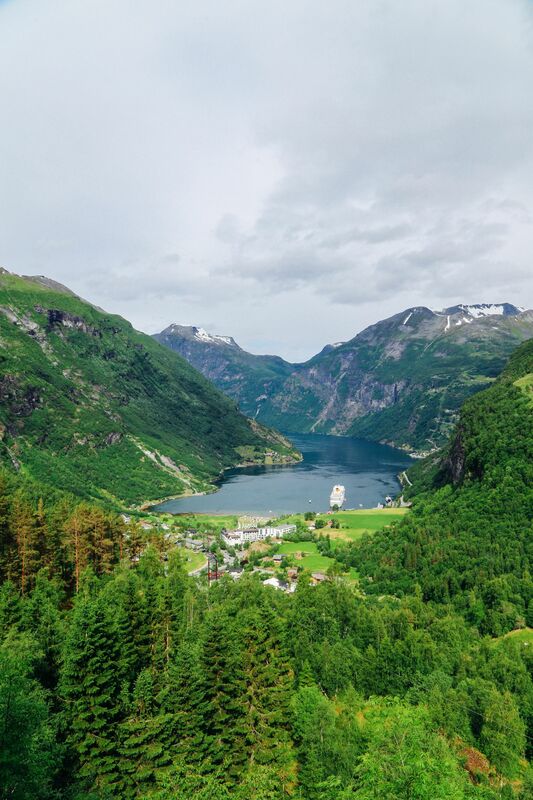 Staggered over a hill, you don’t even need to have arrived into the village before you fall head-over-heels in love it – it’s as gorgeous from afar as it is inside it. One of the best spots to head to for dinner is Le Numero 9, an amazing restaurant located on Rue de Temple (you can thank me later). This place prides itself on an ever-changing menu that’s focused on fresh ingredients that don’t travel too far to get to your table. Commonly heralded as France’s oldest city, it is also the second largest city in France, and definitely one worth checking out once you’re done with the charms of Paris. Or perhaps even before, to be honest – there’s so much more to France than Paris after all. Be sure to venture down to the Old Port, which was established by the Phoenicians over 2,500 years ago to get a sense of the city’s history. 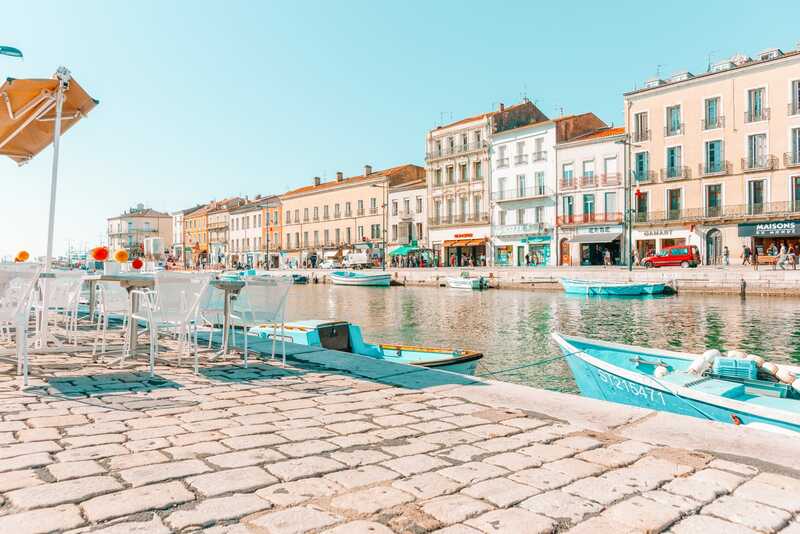 Here, you can simply sit back and watch the locals pass you by, or indulge in some of the city’s more famous dishes, including bouillabaisse, a rich soup flavoured with freshly caught local fish. This is another spot on the French Riviera that needs no introduction really! 😀 It’s just an iconic French beauty that leaves no mystery about why visitors flock to it year after year each summer (and indeed, outside of summer too!). We’ve actually gone into depth in this post here on what to see in Nice when you visit so we’ll skip that part here (check out that post for the full deets) but for an unforgettable dinner, book a table at La Roustide, a much-loved restaurant dishing out traditional French cuisine with a modern twist. While you are here, be sure to visit the Old Town with its beautiful, colourful homes. 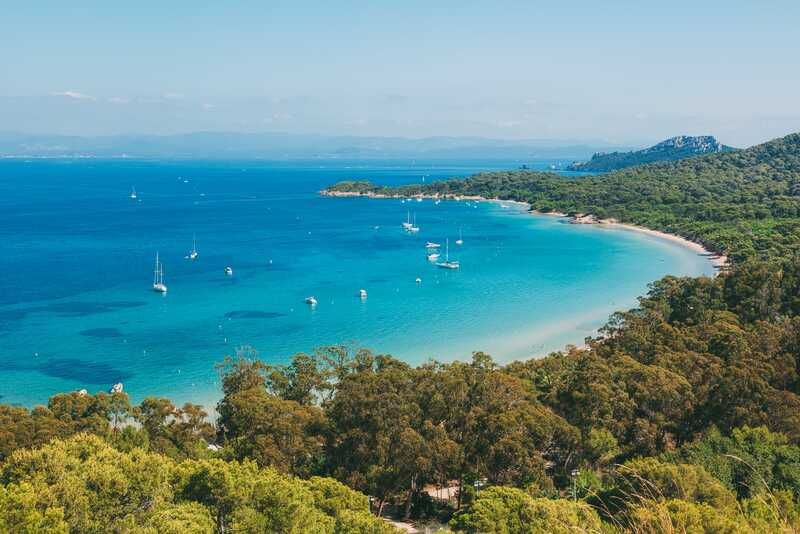 A small island village located in an archipelago approximately half an hour’s drive away from Saint Tropez, this place is pretty well known for its excellent wine and fatastic food, as well as sun-soaked beaches and an overall fun, relaxed vibe. As this island is relatively small (four miles long and two miles wide), there are no cars here, so you’d best be prepared to walk or take a bike to get around. There are also a huge number of stalls set up here by locals showcasing their best wines, produce, cheeses and other regional favourites, which means you can easily grab provisions for a scenic afternoon picnic. While on the subject of ‘tropical islands’ to visit in Europe, here are several more worth checking out here. Granted, Provence is more of a region than an actual town, yet the entire Provence area, which spans from the southeastern coast of France all the way up to Italy. Perhaps the most iconic feature of the Provence is its impressive lavender fields, some of which seem to carry on as far as the eye can see! Looking for a real treat though? 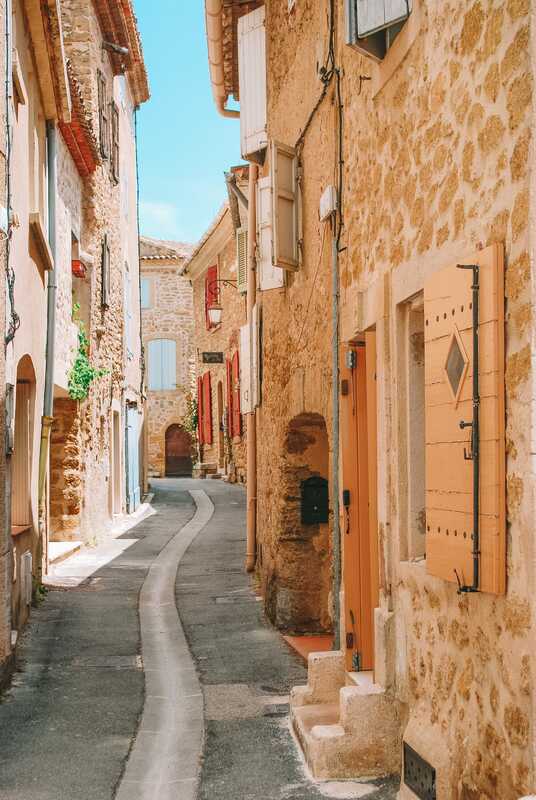 Venture over to Orange, Provence where you can catch a glimpse of the original Arch de Triomphe, or spend a day in Aix-en-Provence, known to many as the land of one thousand fountains. 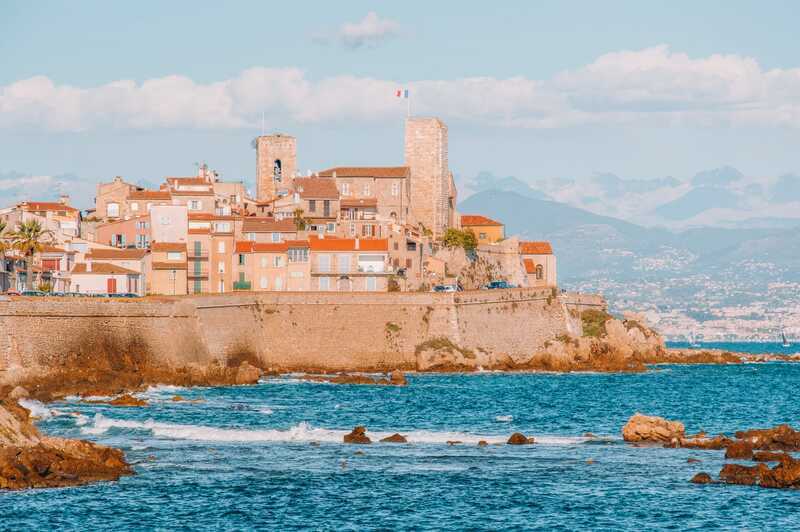 Steeped in medieval history, this walled-in city is over one thousand years old and a rather impressive place to visit in France. Feeling hungry? Be sure to catch lunch at the nearby Colombe d’Or, a restaurant famous for its traditional French delights! 😋This place was originally an inn with a tavern attached which was notorious as the stomping grounds for some famous artists, such as Chagall, Matisse and Picasso. 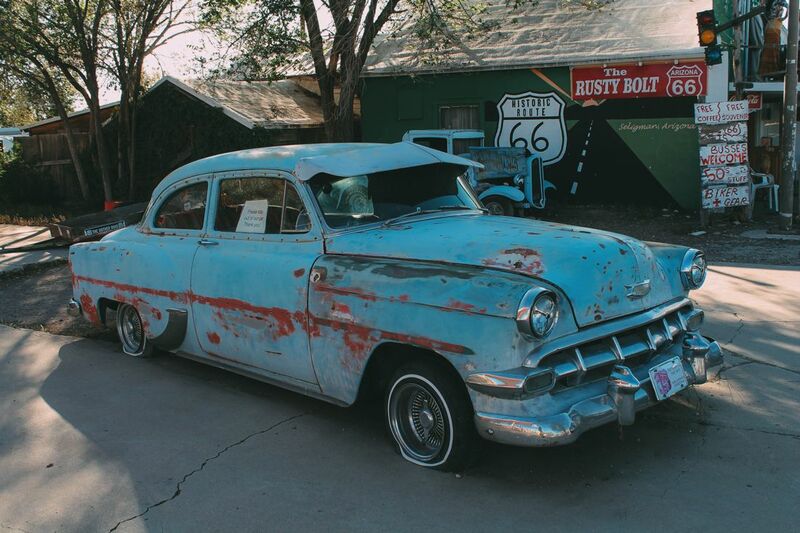 To this day, works by these artists can be seen scattered throughout the property. Keep in mind that the restaurant here is very popular, so you will need to make reservations well in advance. 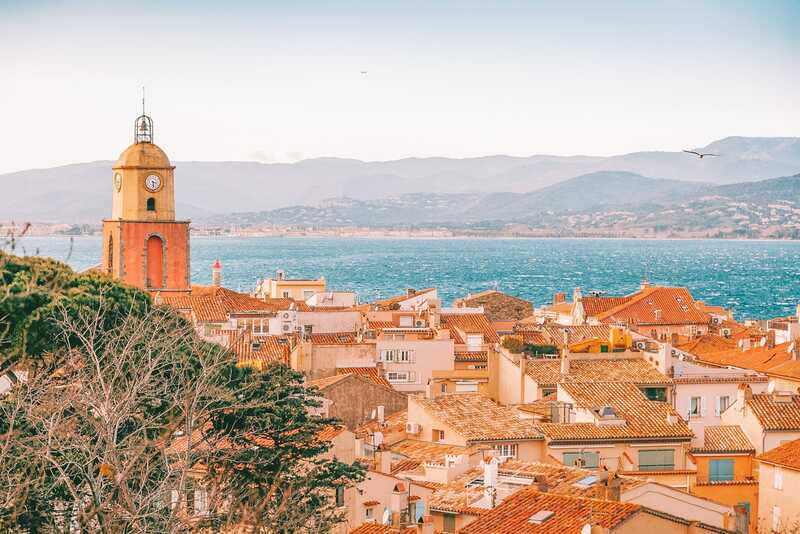 An ancient fishing village that has since become a popular spot for tourists, especially so in the summer, St Tropez still holds on to much of its original beauty and charm. Lose yourself for an afternoon strolling along the Old Town’s cobblestone streets, or if you should happen to find yourself here on a Tuesday or Saturday morning, make your way to the Place de Lices where you’ll find an open-air market complete with gorgeous flowers, fresh herbs and produce and a spectacular selection of wines and cheeses. (Did someone say picnic? 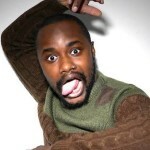 😉 🧺😄). Saint Tropez, of course, is well known for its beaches, some of which are only accessible via yacht or other boats. If you aren’t quite sure which beach to head to – we’ve got you covered -L’Escalet beach comes very highly recommended and Pampelonne beach is another pretty great spot to visit too!. This major port city has been nicknamed Little Venice, due to its large number of street canals. There are a number of beautiful beaches to visit here, along with many museums that are home to impressive art collections. If you are feeling daring (or just super keen on exercise), you can climb up Mont St. Clair, which rewards a relatively steep hike with breathtaking views. If, however, you want to simply sit and relax (you’re on holiday after all), there are some brilliant places to pop into for delicious food and wine – one of which is La Coquerie, which does not actually have a menu, but instead has a daily feature of the market’s freshest and finest produce. 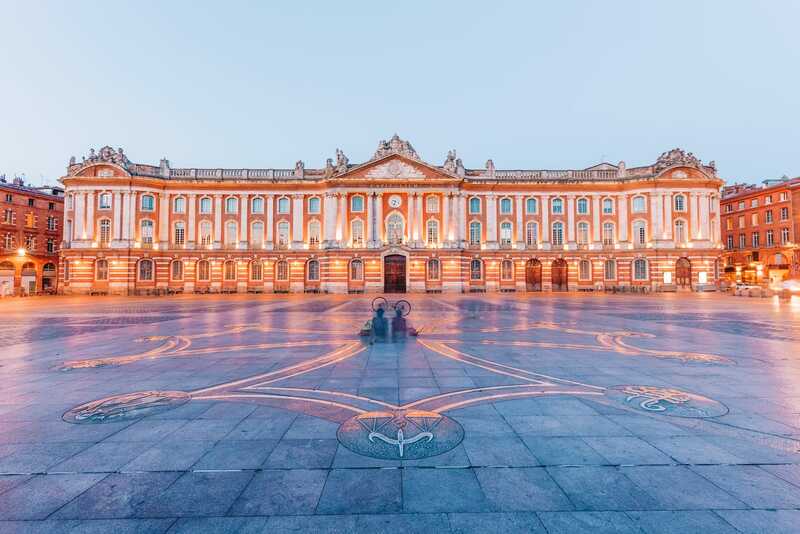 Located near the border of Spain and bisected by the Garonne River, Toulouse is known as La Ville Rose or the Pink City, due to the pink-hued stones used to construct so many of the city’s gorgeous buildings. 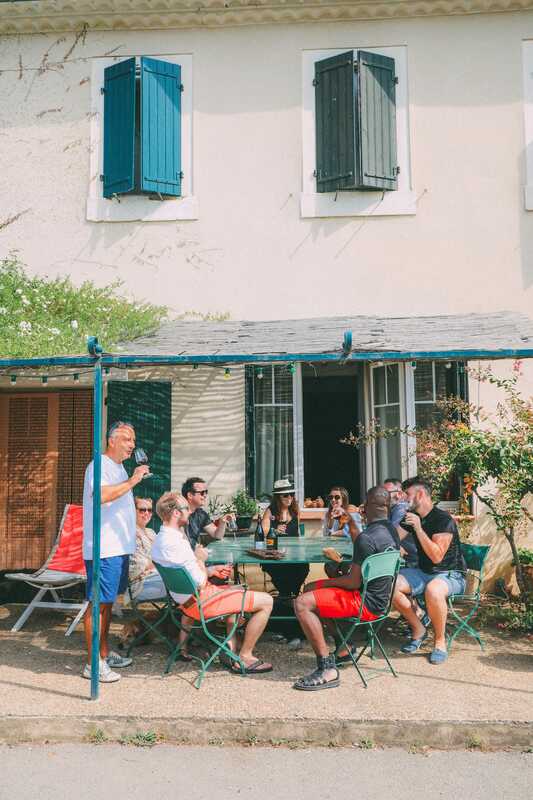 This is an ideal spot for anyone who wants to explore southern French culture and cuisine to its max, but isn’t so keen on the crowds that with other (bigger) French cities, making it one of the best places in France to visit for a more relaxed city break. The Basilica of Saint Sernin is widely considered to be one of the most impressive churches in the entire country, while the city square is always a great spot for a leisurely jaunt and some fantastic street food. 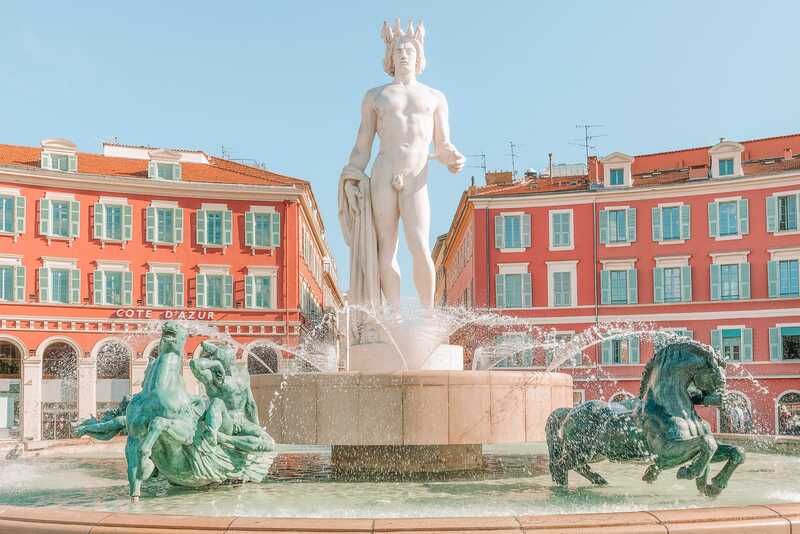 Got your sights set on a holiday in the South of France? Here are the places worth checking out (below).